Every homeowner is bound to face problems no matter how long their residency is. From busted pipes to failing appliances, there’s no shortage of issues to boot. A looming threat facing nearly every homeowner is a broken garage door. 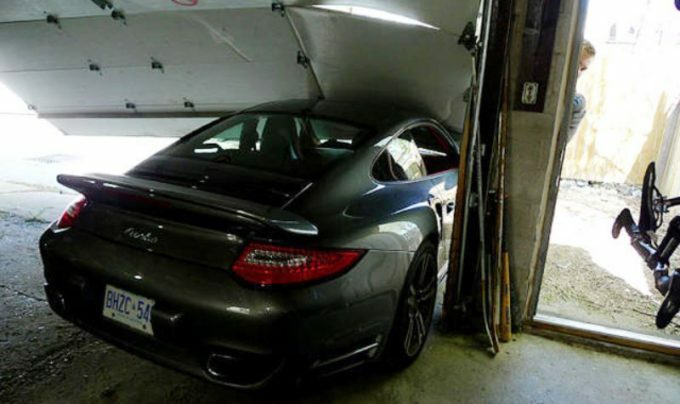 And unfortunately, garage doors tend to fail at the worst possible time. That’s why we offer emergency garage door repair Las Vegas NV services to “Sin City” and the surrounding areas. Our customer service agents are available to take your call 24 hours a day, seven days a week. After a brief conversation and consultation, we will send a repair technician to your location as soon as possible. Our emergency garage door services are what sets A1 apart from other garage door companies in the area. Las Vegas never sleeps and neither do we. Day, night or weekend, if you have an issue with your garage door, give us a call at (702) 425-1914. 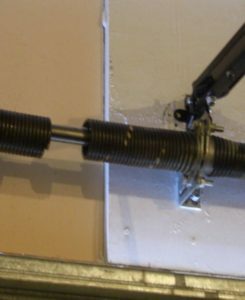 A broken torsion or extension spring will derail your garage door almost instantly. And what’s more, a garage door is bound to give out eventually. Torsion springs have a lifespan, as they are set to function properly for a set number of cycles. A cycle is one complete open and one complete shut of the garage door. Springs are typically set for 10,000 cycles, which ranges from 10-13 years of use. Once all the cycles are used up, it’s just a matter of time before the spring stops working. If you’re dealing with a broken garage door spring, contact A1 Garage Door Repair Las Vegas immediately. Working on a broken spring without the proper training can be extremely dangerous. Unless you are certified in replacing garage door springs, it is highly advised to leave the problem to professionals. 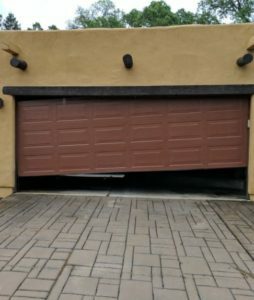 An off-track garage door isn’t only frustrating, it has the potential to be downright dangerous. A door doesn’t need to sustain any damage to be knocked out of whack. In fact, something as simple as tangled cables could keep the door from operating properly. If you have a door that is off track, it’s imperative to keep the area clear until a repair pro can diagnose the problem. Keep all children, pets and vehicles away from the door until you’re given the all clear. A less common but still potential pitfall facing garage doors are broken or snapped cables. These cables are more susceptible to damage in warmer and colder climates. And much like an off-track garage door, broken cables can be extremely hazardous. Our professionals are trained to work on all types of cables and can get the issue taken care of right away. 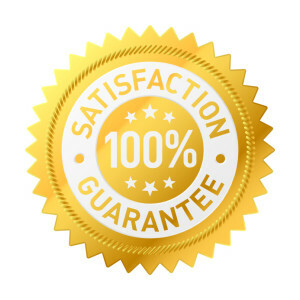 Emergency Garage Door Repair Services You Can Count On! A1 Garage Door Repair Las Vegas provides emergency services you can count on. We service garage door openers both old and new, and carry and install all the latest brands and options in garage door technology. A broken garage door doesn’t have to completely disrupt your daily routine. Give us a call today and we’ll get you back on your way right away!